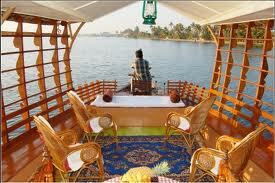 All Transfers & sightseeing as per the itinerary by A/C vehicle on sharing basis. Day 01: Cochin Overnight. Cochin Meet and greet the guest on arrival and transfer to hotel for rest. Day at leisure. Overnight in Kochi. Day 02: Munnar Overnight than Dept: Cochin at 0900 am Arrival: Munnar Travelling time: 4 HRS By Road with deluxe tourists vehicle exclusively for your Group. Places to see @ Munnar On the way visit Rajamala, Eravikulam National Park, Blossom Park , View point, Plantations visit. Overnight at Munnar. Day 03: Overnight at Munnar. After breakfast proceed to sightseeing @ 0900 AM from the hotel and sightseeing at Munnar visit Mattuppetti Dam, kundalalake, Shooting point then drive back to hotel. Overnight at Munnar. Day 04: Thekaddy Overnight than Dept: Munnar @ 0800 hrs Arrival: Thekaddy Travelling time: 3 HRS By Road with deluxe tourists vehicle exclusively for your Group. Arrival Thekkady check in hotel after fresh up leave for boating in Lake Periyar to watch wildlife, Spices market. Overnight at Thekkady. 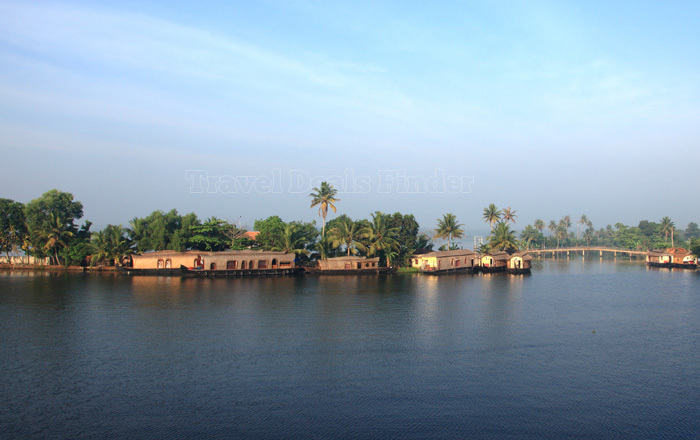 Day 05: Alleppey OVER NIGHT than Dept: Thekaddy @ 0900 AM Arrival: Alleppey Travelling time: 3 HRS By Road with deluxe tourists vehicle exclusively for your Group.Overnight at Alleppey. Day 06: Cochin departure.After breakfast check out hotel/house boat at alleppey at 09:00 hrs then drive to cochin.Drop at the airport for onward journey. Any other expenses not mentioned in the above cost. If you have not decided yet or wants to customize tour itinerary or hotels listed above in "Enchanting Kerala for 6 Days/Nights at INR 21999/- from look n book", then we can change the travel itinerary and make a personalized, tailor-made holiday package, especially for you. We can modify this travel package as per your itinerary, budget, duration and the tourist places you would like to visit, including transportation and airfare should be included or not. Please fill the form below to contact us.